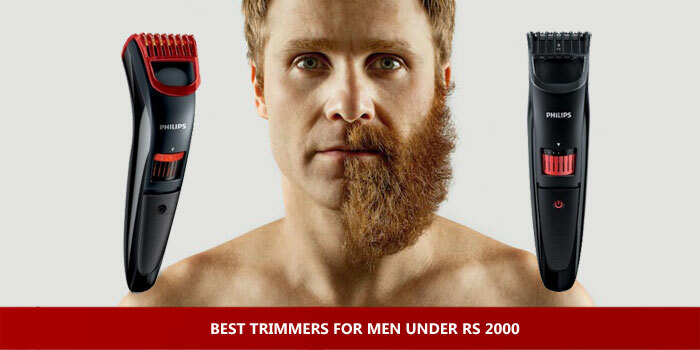 But since there are so many different companies that manufacture and sell trimmers, it’s difficult to pick one if you are looking for the ‘Best Trimmer’ available in the market and have a budget of less than Rs 2000. Washable / Waterproof blades: It’s always easier to wash the trimmer blade with water after use. 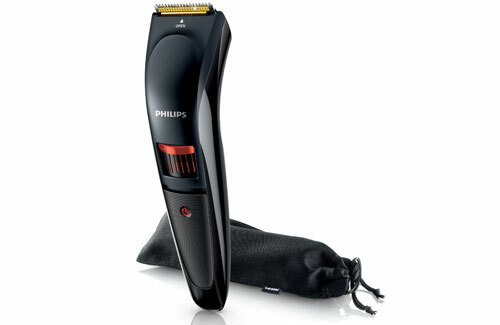 Close shave: The 0.5mm blade setting is another important feature, if you want a close shave. Battery life: It can be frustrating if you’re in a hurry, want to quickly trim your beard and the battery dies on you. The longer the battery life, the better it is. Look for trimmers that last more than 30 minutes on a single use. Some trimmers can be used while charging, this is again a big advantage to have. Our No 1 pick (below) has all these features and more. Time it takes to charge: There are some trimmers that take a lot of time to charge (as long as 8-10 hours). But there are also others that charge quickly (1 hour). 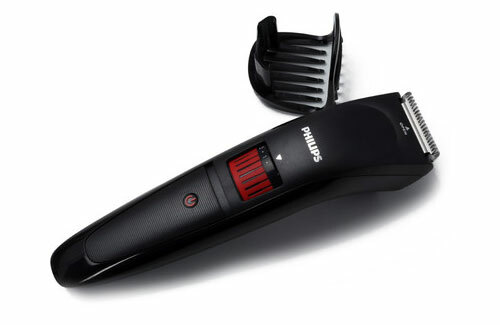 Accessories: Look out for trimmers that come with carry pouches and detachable heads (very useful when cleaning). The blades are of excellent quality, titanium-coated over stainless steel. It does make a difference while trimming. The blades are washable, but the trimmer body is not waterproof. 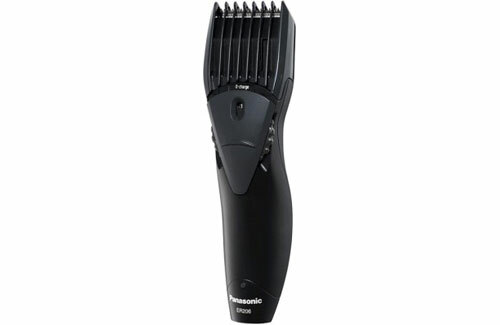 The cord/cordless feature is one of biggest advantage of this trimmer. This means that when the batteries are drained, you can instantly use it by connecting it to the adapter. You need not wait for it to charge fully. Comes with an adjustable wheel, which lets you select any setting between 0.5mm to 10mm and lock-in. There is a light indicator to show the battery status. Comes with protective storage bag along with the trimmer. Takes only one hour to charge. 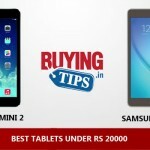 It’s a value for money product. The trimmer body is not waterproof which is not a major issue but you need to be careful while washing the blades. Good build quality. Although the material used is plastic, it does look good. Does a smooth job when it comes to trimming. The blades can be detached and washed easily. Doesn’t come with protective storage bag. Plastic build, feels good to hold. Good battery life with 50 mins of use. Doesn’t make much noise while using. Takes about 7 hours to charge. Need to use oil after 4-5 uses to keep the blades sharp and clean.